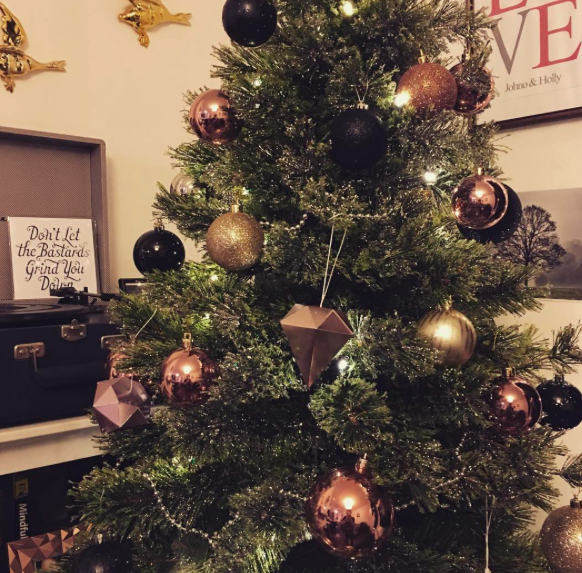 This year I'm going to attempt to do Blogmas! Well kind of, I want to challenge myself to post each day but I know, over the next few weeks, I have a very busy diary so with that in mind, I'm just going to be posting more than I usually would throughout the next month! Expect to see posts on xmas gift ideas, xmas cookery ideas, decorations,events I've attended, things that make me happy and generally just a bit more of a peek into the things that I do throughout the month! I'm slightly worried about hitting publish on this post as it means the pressure is on.. but, this is my little space on the internet and if I happen not to post for a day or two please let me off! Today I decorated our xmas tree and added some festive extras to the house. It makes me feel all lovely to know that in 24 days time I'll be hosting the family xmas for the first time! What did you do with your first day of December?